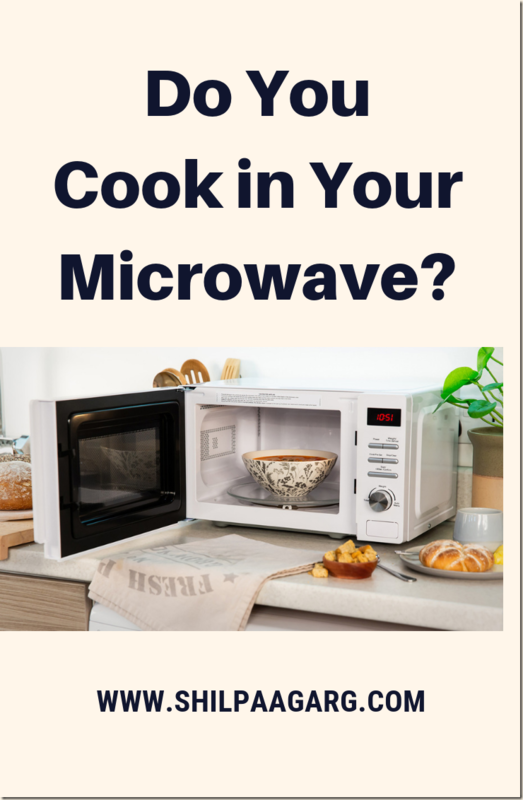 Do You Cook in Your Microwave? 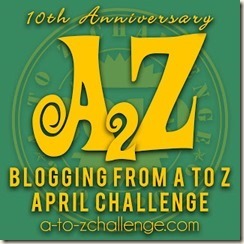 #AtoZChallenge - A Rose Is A Rose Is A Rose! These days, microwave is an integral part of almost all kitchens. I remember, some 20 years ago, very few people had microwaves. Whosoever had it then would keep this gadget in the dining room, covered with napkins and mats. It was rarely used and if at all it was used, it was to just to warm cooked food or sweet-dishes! In 1999, we had gone to a colleague’s home for dinner. She had cooked almost everything in the microwave. And I had seen the starters being grilled and a few things roasted too. That was the first household, where I had seen a microwave being used in that fashion. When we bought our microwave, we made it a point to cook everything in it. Thanks to the cookbook that we got with our microwave, we started trying out the dishes given in it and followed the instructions religiously. The results were amazing. And today, I don’t have to refer the cook book for microwave cooking, in fact I make even those dishes in this appliance which are not mentioned in my cookery book. It’s all based on the experience of using this gadget. The food cooks faster, is healthy and less oily/oil free and what a convenience. So, right from white sauce, aam ka paana, creamy vegetable dip, bread rolls, all vegetables (aloo matar / paneer / aubergine / cauliflower / cabbage / mushrooms etc) I even cook kadhi and rajasthani gatte in my microwave. I bake cakes and make rice kheer and carrot halwa in my microwave. Here are some ways to use your Microwave. Slit the washed lady fingers and stuff them with any filling of your choice. In a microwave safe bowl, add a 1 tsp of oil and place the stuffed vegetable neatly, sprinkle a few drops of water on it. Cover it with a lid and use 100% Micro Power for 3-5 minutes!! Make the masala with boiled potatoes, chopped onions, green chillies, ginger, green coriander and spices. Take bread slices, soak them in water, squeeze the extra water, fill in the aloo masala and shape them in cylindrical rolls. Brush the rolls with oil and grill on the greased non-stick tawa/ microwave safe flat dish at high rack for 18-20 minutes. Turn in between for uniform browning from all sides. Imagine a healthy bread roll which is not deep fried!! If you want to store methi (Fenugreek leaves) and mint and use the dried version later. On the glass turn table of the microwave, keep the washed methi /mint leaves. Microwave at 100% Power for 5-6 minutes. Let it stand on the glass turn table in the microwave for 5 minutes. When cool, crush/powder it and store it in air-tight container. Use dried methi in any vegetable or parathas and mint for curd in any season! Namkeen, Snacks, Biscuits, Chips, Wafers, Cookies, when left outside for long or during the rainy season lose their crispiness and freshness. In order to make them as fresh and crisp as before, place these snacks on a paper napkin on the turn table and Microwave at 100% Power for 1-2 minutes. Allow it to stand for 3-5 minutes and then store in air-tight containers. All these snacks would be crunchier and crisp! Microwave Cooking is far simpler, easier and convenient than the traditional Indian cooking. It cooks fast, cooks healthy as less oil/ghee is used and also all the nutrients are retained during microwave cooking! Do you cook food in your microwave? What do you cook in your Microwave? My microwave has been my kitchen companion for the last 15 years and is giving me uninterrupted service. I don’t do day-to-day cooking. We re-heat food everyday. I bake cakes and cookies. I have tried stuffed bhindi and it is yummy. Should try mint/methi leaves pwd and bread rolls. I roast peanuts and all my spices. My mom likes to make her litti(s) of the Litti Chokha fame in her microwave. And I like to pull of a quick brownie during the mid-night in mine. But lately the apprehensions about the usage of microwave and its harmful effects has become very discouraging. ironically i havent done a lot of microwave cooking in my life…. not even sure i would know how to without a bunch of youtube videos. The first time I got a microwave at home after marriage I made Palak Paneer through the recipe book they had provided. Somehow for me, the microwave cooking decreased and is used more for re-heating the food and baking cakes. I was enthu about my microwave when it first arrived. A lot of cooking was done in it including cakes, pizzas, fish grill, tomato purees, tea and many more. But, slowly, we started using it only for reheating certain food. And now it has broken down for some time. It was touch initially as we had got used to the microwave, but now we do not miss it much. I sometimes cook in a microwave but never tried the dishes you mentioned. Will try stuffed bhindi. It looks interesting. I try cakes and rice dishes in it. Later when we got home a convection oven, we began using it to bake and roast–in short, put it to good use! I use it only for the baking purpose and reheating food. It is a misconception that microwaves are simply for warming and thawing stuff. In an expert hand, a lot of things can be cooked in a microwave oven. Ofcourse, I do not mean a butter chicken or some deep fried stuff. Many western foods and as shown by the author of this blog many Indian foods too can be prepared using microwave over. These are super tips, Shilpa! I am going to try them all, since I am one of those who only uses the Micro to heat food. Excited abot making my own Kasturi Methi! I don’t cook in the microwave. But yes, it is a nifty tool to heat food and for things like crisping up soggy stuff. I have a plain microwave that is useful to expedite cooking. I even make poached egg in it. For other cooking I have an OTG and an airfryer. We don’t have micro wave; somehow my family is happy with traditional ways of doing things, and never attempted to buy a micro wave. My daughter keeps wanting to learn to make cakes.. so may be in future we may have a small one.. thanks for the information. I started using the microwave for cooking after coming to Jaipur. Before that, it was only used for reheating mainly and that lone chocolate cake I’ve tried in it. I once tried making rice in it, but the water spilled out, so never tried that again. But I do most of my routine cooking in it. All the dry dishes that have to be cooked in a wok or fry pan, I use my micro for them, so it takes very little oil then. Also reduces cooking time, so the nutrients don’t evaporate so much with steam. I like the stuffed bhindi idea. I have never stuffed bhindi. What do you put into it? I used to use a microwave for reheating, defrosting and popcorn. Where we are right now we don’t have a microwave and I’m finding I don’t miss it that much. I’ve never really used it for cooking, as it seems the jury is still out on whether it really is safe or not… I had no idea it could be used for so much! I do use the micro a lot, I love its convenience and ease. Will try out the Bindhi your way and definitely the bread rolls coz I just love them! Commenting for the second time shilpa, looks like its disappearing:) I do not use the micro wave, as one reason we found on observation that it was used only to warm up food. while we wanted to go for fresh food all the time. Hence we may not use it to the optimum level. My daughter is interested in baking so may be we will get a small oven for her. We don’t have a microwave shilpa, and we use the traditional methods to cook by gas stove. As David feels that we must eat fresh food and we don’t need a microwave… now my daughter likes to bake and is interested in making cakes so we may consider one for her… thanks for sharing. This is super helpful. I bake, roast, make pakodis for kadhi, kofte in microwave but never tried bread roll or bhindi in it. My mother does a lot of microwave cooking … i usually use it to reheat ….